Registration for this course is handled via an interview process. Please contact Catherine McKenzie at cmckenzie@carolinaday.org for registration interview information. Cost: $675, includes math manipulatives, handouts, and activities designed by Marilyn Zecher and Key School Math teachers. What is the Multisensory Math Approach? Based on the Orton-Gillingham approach, Multisensory Mathematics applies the research-based Concrete-Representational-Abstract (CRA) approach to teaching mathematics as advocated by the National Math Panel and the NCTM. Concepts and skills are taught systematically from simple to complex with review and reinforcement to develop mastery. New information is taught through visual, auditory, and tactile kinesthetic modalities to ensure students form a deep conceptual understanding of mathematical operations and language. Course participants learn hands-on, applicable methods for teaching mathematical concepts to their students. Participants learn to use manipulatives effectively to reinforce understanding, aid memory and enhance performance for all students. Strategies for helping students learn and retrieve math facts are stressed as well as structured procedures for computational accuracy. This approach is especially effective with students with language-based learning differences, dyslexia, and ESL learners. The multisensory math approach is effective for initial instruction as well as remedial work at all levels and is compatible with all curricula and programs. Using this approach, skills and concepts are taught with ample review and reinforcement and are presented through all modalities (auditory, visual, kinesthetic). Focus on explicit instruction of numeracy, place value, addition and subtraction, multiplication and division, fractions and decimals. If you are interested in registering, please email cmckenzie@carolinaday.org. 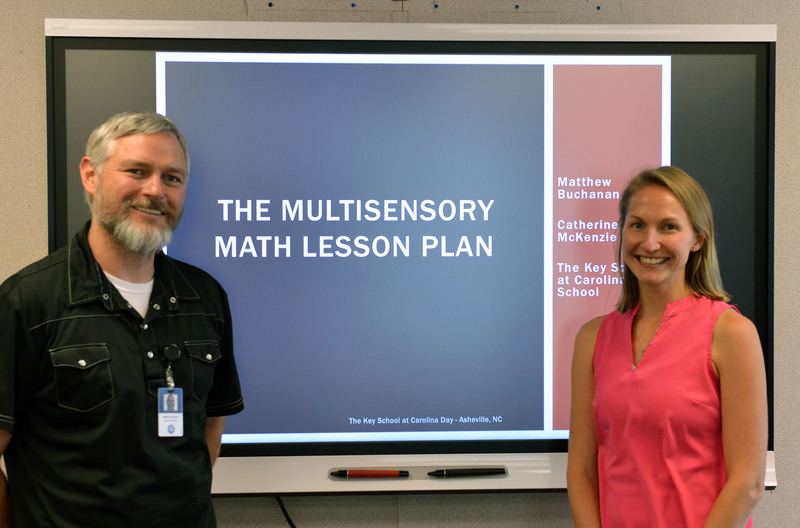 Key’s Multisensory Math Workshop is presented by Key Learning Center’s Certified Multisensory Math Instructors. This course is offered in coordination with Marilyn Zecher. Marilyn developed the Multisensory Math approach based on the principles of Orton-Gillingham. She is a Certified Academic Language Therapist, national presenter, and instructor of Multisensory Math courses. Learn more about Marilyn at www.marilynzecher.com.